Narrator: This is a story of an ordinary little boy named Charlie Bucket. He was not faster, or stronger, or more clever than other children. His family was not rich or powerful or well-connected; in fact, they barely had enough to eat. Charlie Bucket was the luckiest boy in the entire world. He just didn't know it yet. Q: Where is Wonka Chocolate Factory located? Q: What are the differences between the theatrical release and the HD DVD / PAL Blu-ray release? 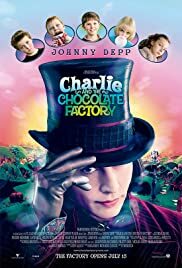 Q: Is 'Charlie and the Chocolate Factory' based on a book? I saw this movie in Antwerp at a sponsored movie event on the 4th of July.... I was a bit reluctant to go and watch this movie but I'm glad I did! 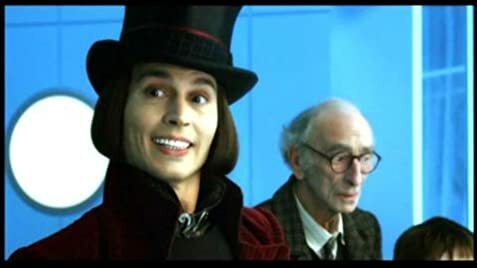 Johnny Depp is a great Willy Wonka! I never thought that there would be a version that could match or even beat the original, but this one certainly has exceeded my expectations.... The film is hilarious, speaking as an adult, I wonder how the youth responds to this, but I rate this movie 8 out of 10 stars! For those of you expecting a copy of the original with new actors, you'll be surprised how original this version is, go and bring your entire family with you! I'm sorry for the fact that this comment looks a bit like a commercial, but I'm really enthusiastic about this flick! 230 of 430 people found this review helpful. Was this review helpful to you?